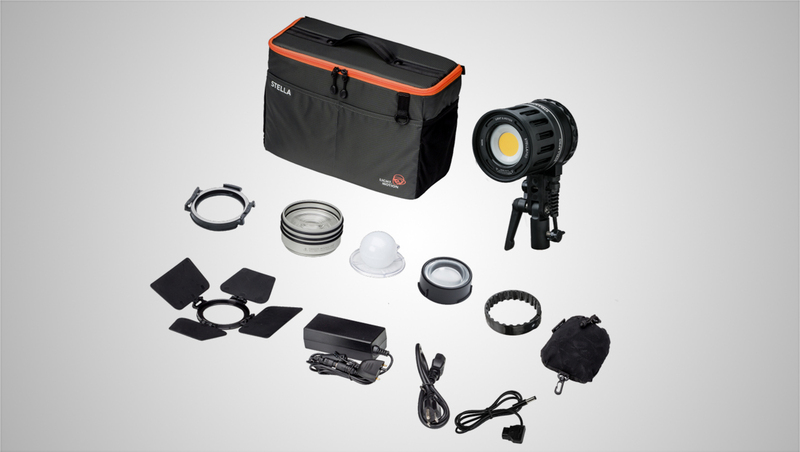 Light & Motion, known for its compact powerful self-contained LED lights, is launching the Stella Pro CL 10,000c Action kit. The kit includes a Stella Pro CL 10,000c, Dtap cable and a range of modifiers to light on-location interviews anywhere. The diminutive Stella Pro 10000c weighs under 2lbs while delivering the light output of a 200 watt HM. It can be powered from a wide range of existing V-mount batteries from 12V to 30V. The power, small size and rugged build quality of the Stella Pro 10,000c has made it the choice of news teams around the world. 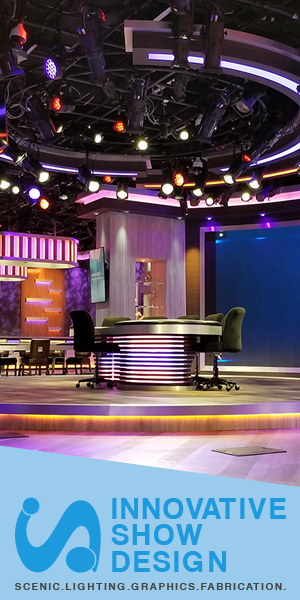 Nippon Hoso Kyokai – the Japan Broadcast Corporation — has selected Light & Motion’s Stella 10,000c as their light of choice to replace its HMI lights across all affiliate stations in Japan. Broadcast field crews from Fox, CBS, The Weather Channel and SkyNews all have field teams that depend on the compact power and beautiful beam that the Stella Pro lights deliver. The Stella Pro CL 10,000c provides significant advantages over HMIs: the Stella Pro CL 10000c is smaller, more powerful, and more robust (drop tested to 1 Meter onto concrete) than HMI lights and supports a wide range of existing V-mount batteries with voltage ranging from 12V to 30V. The COB (chip on board) LED design is far safer than HMI lights as it doesn’t radiate UV and delivers high CRI and 93 TLCI (television light color index) at a stable 5600 kelvin with lower wattage and cooler running. “The flexibility, compact size and powerful punch of the Stella Pro 10,000c is amazing. My gear load has lightened significantly! The small size and power allows me to set up fast and easily get my shot on-location anywhere!” stated Jake Barlow, photojournalist, “CBS Sunday Morning” in a statement issued by Light & Motion. The Stella Pro CL 10,000c supports a simple but effective range of modifiers including a spot Fresnel that works well in direct sun as a fill light. Stella is light enough to mount on-camera and its wide, native 120-degree beam can fill a 6-foot softbox or Octa for a very large soft source. The kit joins Light & Motion’s already robust lineup that includes he Stella Pro CL Interview Kit by Barry Andersson with three lights priced at $5999.99, the Stella Pro CL Expedition Kit witih three lights for $5499.99, Stella Pro CL 8000 RF Action Kit priced at $2,199.99, Stella Pro CL 5000 RF Action Kit, with MSRP of $1,999.99 and Stella CL 2000 Action Kit for $849.99.